From What’s New to What’s Best and What’s Classic and much more. This extensive list is sure to provide everyone with something new to try. From the Washingtonian here is Where to eat, shop, and explore right now. The best of What you should know about Georgetown—right now. The Pennsylvania convenience-store chain with a cult following opened its first DC location in December, and in less than a year its kiosks and lines for hoagies have been packed every day at lunchtime. Now Wawa has announced it’s coming to Georgetown, causing some well-manicured hands to reach pearlward. The store will replace high-end furnishings favorite Restoration Hardware at 1222 Wisconsin Avenue. But Wawa says it can fit in with its Wisconsin Avenue neighbors, promising an urban, upscale feel that will “meet the historical needs and requirements of the Old Georgetown Historic District.” Wawa will take over the 7,100-square-foot space by the end of the year. Hearts cracked around the Beltway when a two-alarm fire damaged the beloved O Street wing joint, Wingos, and the English Rose Garden florist next door. Wingos owner Mike Arthur plans to reopen before the fall semester, but in the meantime, a former employee started a GoFundMe to support the temporarily unemployed workers. Wingos Has Burned. Georgetown Mourns. The debate continues about whether Georgetown should build suspended cars to transport people across the Potomac River to Rosslyn. Some argue that the train-free area could benefit from an alternative form of transportation, which would cost a fraction of the price of a Metro station. Others, particularly officials in Arlington, have no intention of supporting a gondola system they deem costly and time-intensive. But a coalition led by the Georgetown Business Improvement District has raised enough money to keep the idea afloat. The BID aims to meet its goal of $1 million for the project by October. One perk of enrolling at Georgetown University is the access students get to high-ranking dignitaries and politicos who come to campus to speak and teach, typically with little to no commotion. But that wasn’t the case when Transportation Secretary Elaine Chao and her husband, Senate Majority Leader Mitch McConnell attended a private event on campus this summer. As the couple tried to climb into a black SUV to leave, six students confronted them, playing a ProPublica recording of children being separated from their parents at the US/Mexico border, to which Chao replied: “You leave my husband alone.” A protester repeatedly asked, “How do you sleep at night?” Video of the encounter, initially posted to Twitter, has had more than 3.5 million views. A stretch of M Street. Photograph by Sam Kittner. For nearly a decade, Georgetown students sweated it out on the dance floor at the Prospect Street club Chinese Disco. But the haunt poured its last shots in July. “As our lease drew to a close, we assessed the changing climate of the neighborhood and ultimately decided that Georgetown was no longer viable/friendly for our business,” one of its owners told Eater. 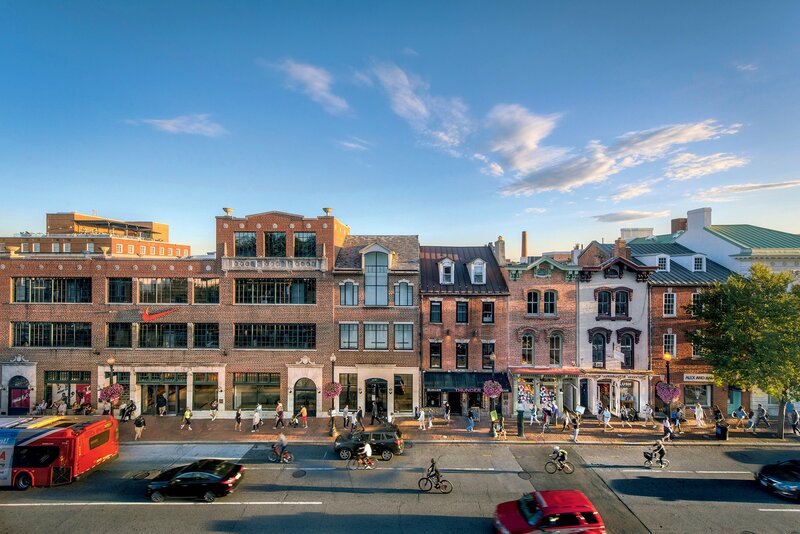 Washington Harbour—Georgetown’s 562,105-square-foot waterfront development of restaurants, residences, and offices—has sold for $415 million to an international real-estate company owned by an Israeli billionaire. It’s the second recent Washington purchase for Global Holdings Group, which bought the Courtyard by Marriott at the Washington Convention Center in 2017. No word yet on what the company has planned for Washington Harbour. Filming for Wonder Woman 1984 snarled traffic around Wisconsin Avenue and M Street throughout the summer. But the inconvenience should be worth it when we get to see Georgetown restored to its 1980s glory—Commander Salamander and all—on the big screen in November 2019. ➜ America Eats Tavern. Chef José Andrés makes good use of Old Glory’s former space, turning out dishes heavy on the house-made BBQ sauce and light on, well, nothing. 3139 M St., NW; 202-450-6862. ➜ The Dough Jar. Just as it sounds—cookie dough straight from the mixing bowl and into your mouth. The snickerdoodle flavor could put the Girl Scouts out of business. 1332 Wisconsin Ave., NW; 202-657-0019. ➜ 90 Second Pizza. For Neapolitan pies fresh off a baking stone made from volcanic lava imported from Vesuvius. 1077 Wisconsin Ave., NW; 202-621-6445. ➜ 1310 Kitchen & Bar. Cookbook author and personal chef Jenn Crovato has taken over the old Daily Grill location, where she’s turning out standards such as a hearty kale-quinoa-and-Brussels-sprouts salad and a sublime mac-and-blue-cheese. 1310 Wisconsin Ave., NW; 202-333-8232. Fiola Mare. Photograph by Scott Suchman. Georgetown eateries you’ve seen on our 100 Very Best Restaurants and Cheap Eats lists. A tortilla can make or break a taco. So at this vegetarian “farm to taco” shop, sunny rounds are house-made with organic, gluten-free masa and griddled to order, then stuffed with seasonal combinations such as roasted zucchini, goat cheese, and chipotle yogurt, smoky collards with paprika salsa, or potato and kale. It’s easy to channel Tulum in the airy space, so order a rosé or a fresh-pressed juice and relax. On weekends, try the egg tacos for breakfast. 3207 Grace St., NW; 202-333-5222. The elegant, pale-green dining room with gilded mirrors is as lovely for a working lunch as it is for a date-night dinner. (In warm weather, the lamplit courtyard is our pick.) Chef Brendan L’Etoile winningly revives Gallic classics such as red-wine-poached duck eggs with mushrooms and lardons, Burgundy snails tucked into puff pastry, and trout grenobloise. We’re equally enchanted by Bar à Vin, the sister wine bar across the patio—its wood-burning fireplace is the perfect place to start a chilly evening with an aperitif. 1039 31st St., NW; 202-965-2606. This Fabio and Maria Trabocchi production is a hangout of choice when the mega-famous come through town. Although the menu is heavier on proven hits than on innovations these days, few restaurants in Washington serve seafood of this caliber. 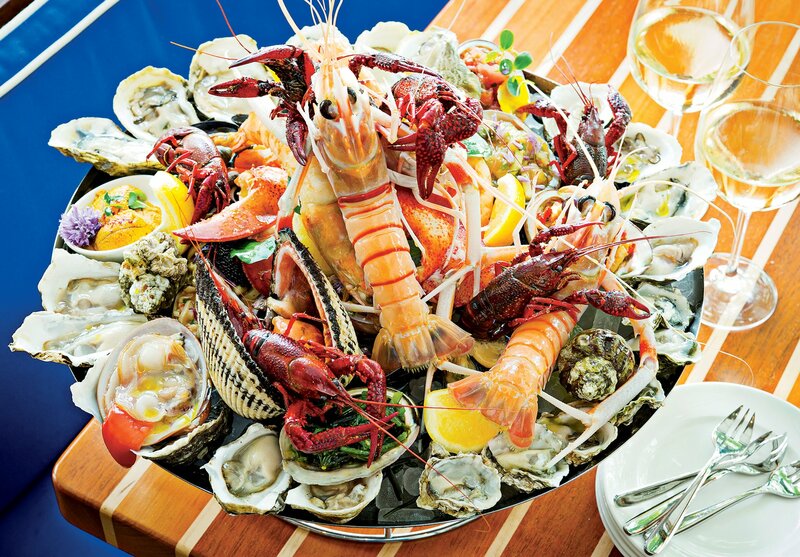 It’s best sampled on the shellfish platter, one of the most lavish in town, or on a mixed grill with lobster, langoustines, and calamari sided with salsa verde. Throw in grade-A service and a sparkling river view and you’ve got the makings of a starry night, no matter who else is in the room. 3050 K St., NW; 202-525-1402. Favorite places to eat, shop, and play. Around since 1955, the Phoenix specializes in handmade decor, jewelry, and women’s clothing. Photograph Courtesy of The Phoenix. The place for rarefied wines and hard-to-find spirits—or just a good dinner pairing.1635 Wisconsin Ave., NW; 202-337-2003. An array of breads and baked goods, including parchment-wrapped “cakecups” and 22 kinds of pie. 1052 Thomas Jefferson St., NW; 703-663-8727. Countless jazz careers have been made here since the supper club opened in 1965. Shows are booked at least 350 nights a year. 1073 Wisconsin Ave., NW; 202-337-4141. Explore the European-style enclave of antiques shops, art galleries, and cafes. 1500 and 1600 blocks of Wisconsin Ave., NW. The bustling brasserie makes it easy to think you’re in Paris, with a menu of croque monsieur, crepes, quiche, and steak frites. 1522 Wisconsin Ave., NW; 202-333-8830. The quiet towpath below M Street marks the beginning of a 184-mile trek that ends in Cumberland, Maryland. The ultimate consignment shop, selling eclectic art, fine silver and china, and handbags and jewelry from Georgetown’s designer closets. 1427 Wisconsin Ave., NW; 202-333-6635. Walk the historic estate’s sprawling gardens, home to more than 150 varieties of flowers, shrubs, and trees. 1703 32nd St., NW; 202-339-6400. The steep shortcut between Prospect and M streets played a crucial role in the 1973 film The Exorcist. The steps are now a landmark and tourist attraction. Prospect and 36th sts., NW. Watch the “pasta mammas” making fresh pasta in the window, then step inside for some of their ravioli, cannelloni, gnocchi, and lasagna. 1063 Wisconsin Ave., NW; 202-338-8800. Sister boutiques that stock of-the-moment, high-end designers of ready-to-wear shoes, fashion, accessories, and handbags. 3005 M St., 202-342-0202; 2906 M St., 202-342-2020. No mere baubles here—this is a gallery representing international artists who work in the media of gems and metals. 3319 Cady’s Alley, NW; 202-337-3319. 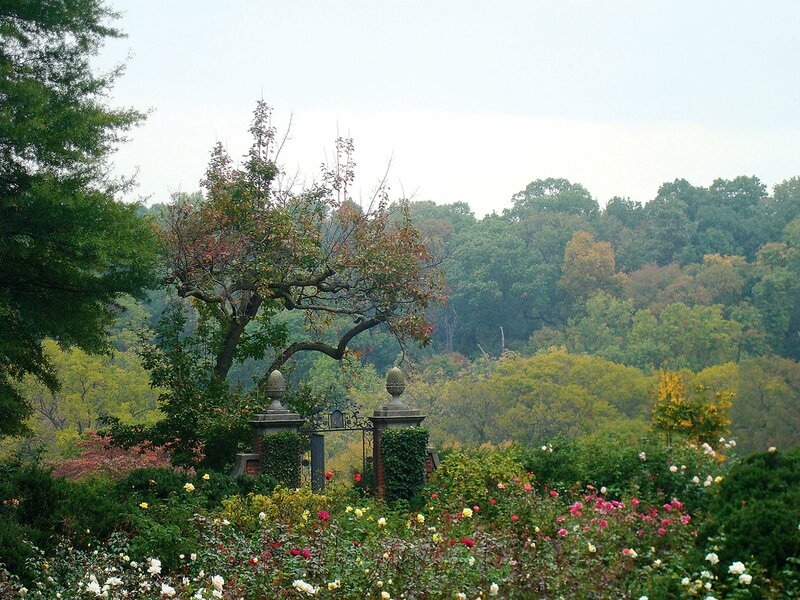 You can wander the gardens at Dumbarton Oaks year-round. Photograph Courtesy of Dumbarton Oaks. Your French country grandmother’s comfort food, with standards like cassoulet, salmon en croûte, and mousse au chocolat. 2813 M St., NW; 202-338-1784. A chummy Irish bar and restaurant open since 1933, serving tried-and-true dishes such as oyster stew and shepherd’s pie. 1264 Wisconsin Ave., NW; 202-333-7370. This pleasing little cafe serves authentic French pastries, fresh salads, sandwiches, and quiche. 1645 Wisconsin Ave., NW; 202-342-3248. 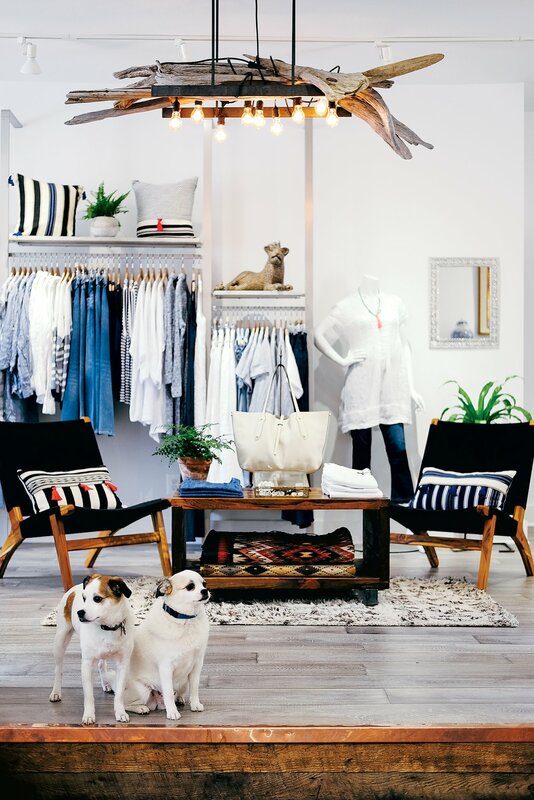 A third-generation shop offering clothing, jewelry, and home goods made by artisans in the United States, Mexico, and beyond. 1514 Wisconsin Ave., NW; 202-338-4404. One of the few independent women’s couture boutiques amid a growing mix of chain stores. 3312 Cady’s Alley, NW; 202-333-5343. Upstairs from the Tombs, Chef Tracy O’Grady prepares some of the city’s finest seasonal dishes in a plush, antiques-filled dining room. 1226 36th St., NW; 202-965-1789. A meat market with an impressive sandwich menu and daily dinners for pickup—recent offerings include paella, stuffed quail, and prime rib. 1425 28th St., NW; 202-506-3125. Beer, brunch, and burgers are on order at this underground college bar that memorializes generations of Georgetown rowing. 1226 36th St., NW; 202-337-6668. One of the nation’s best-preserved neoclassical estates, built in 1816 by Martha Washington’s granddaughter, with more than five acres of gardens. 1644 31st St., NW; 202-965-0400. Own Your Wonder. Image courtesy of Tenneal Mcnair. ➜ The Beauty Gurus by Lisa. The specialty at this posh skin-care and makeup studio is a facial called the Rose Gold Luxe Lift, a combination of micro-current and LED light therapies, topped with 24-karat-gold and diamond skin products. 1432 Wisconsin Ave., NW, Suite 300; 800-372-7089. ➜ Lili the First. Owner Ifat Pridan stocks her women’s boutique with clothing by small independent designers from Israel, Italy, and Japan, among other countries. 1419 Wisconsin Ave., NW; 202-448-9415. ➜ Own Your Wonder. 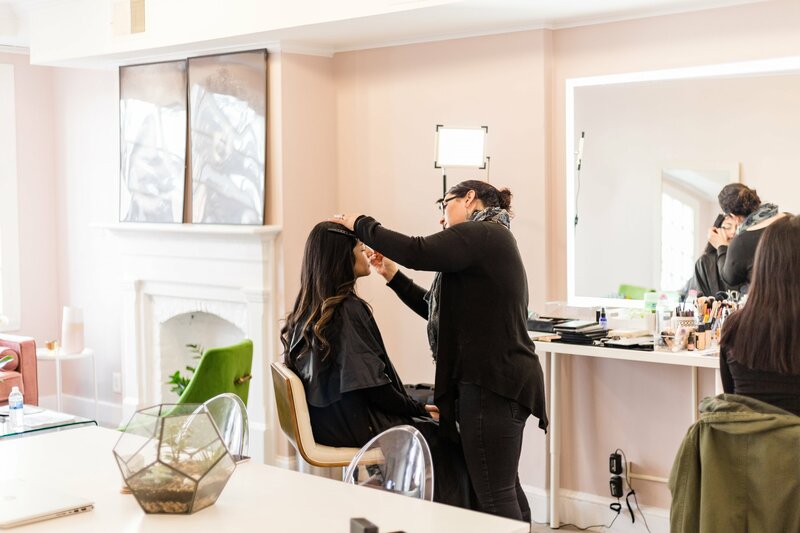 The Drybar of makeup, this salon offers makeovers without the sales pressure of a department-store beauty counter. For $100, you can have your makeup done plus get new headshots. 1659 Wisconsin Ave., NW; 202-298-8000. ➜ Take Care. This natural skin-care and beauty boutique is an oasis of om, with products including Atmosphere Protection Cream and Beetroot Lip and Cheek Tint. 1338 Wisconsin Ave., NW; 202-717-2600.